Firstly, I would like to apologise for being so quiet of late. Things have been happening so quickly at work that it has taken a lot out of me. After the mini Apple Pies, I had neglected the 2 Bramley apples that were still sitting in my fruit and veg drawer in my fridge. Luckily for me, bramley apples keep very well in the fridge! 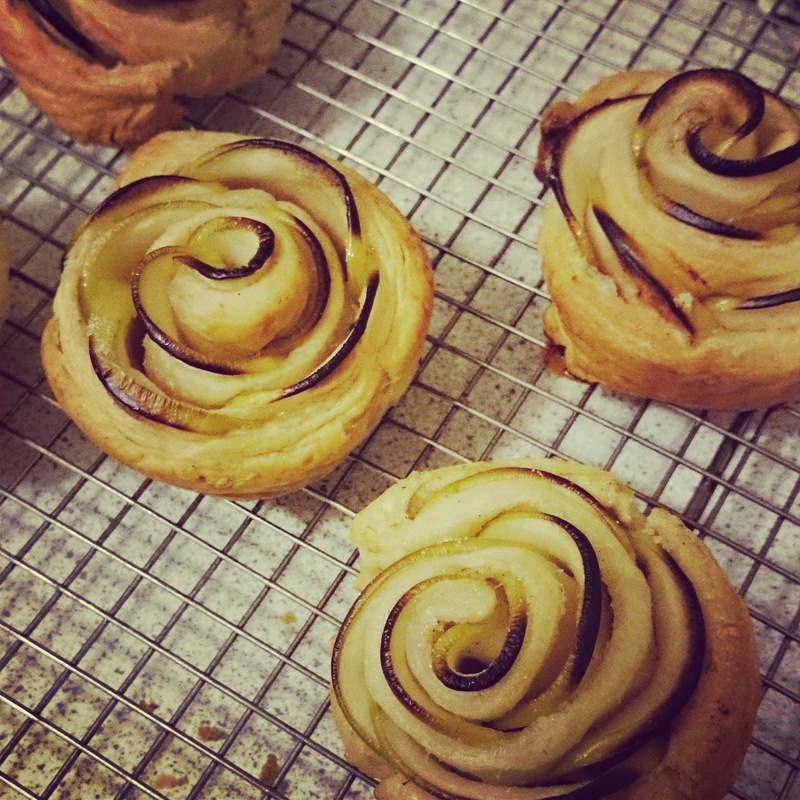 I had a block of puff pastry and I was thinking of maybe some sort of apple tart and then I remembered a photo I had seen on Pinterest where someone had made some puff pastry and apple roses. So let's make something pretty! I did this just to test it out and luckily it didn't turn out too bad the first time around. I don't have a proper recipe for this so I apologise but every apple differs in size and flavour - my advice, freestyle and have some fun! No need to peel the apple, otherwise you won't get the desired effect. Make sure the apples are not overcooked! You want them to be bendable but not cooked through because they will cook again in the oven. I made the mistake of making the roll too big so ended up with the middle slightly raw - shorten the strips! I used more sugar because of the tartness of Bramleys - if you are using eating apples use a lot less sugar. The cinnamon is to personal taste. I dislike it quite a lot (although I am growing to like it with apples, in tiny amounts!) but my good friend loves it and would probably have put twice the amount of ground cinnamon. If you worry that the roses with fall apart during baking, bake them in a muffin tin or in muffin cases. To make them look more pro, brush with warmed apricot jam. There may be updates to this in the future. Toss them in a juice of 1 lemon, cover with hot water and add 3 tablespoons of golden caster sugar. Simmer for a couple of minutes and then drain. Lay them out on kitchen paper to dry out for about 15 minutes. While the apples are drying, roll out the puff pastry quite thinly. Sprinkle a few tablespoons of golden caster sugar (mixed with ground cinnamon if you like), evenly over the rolled out pastry. Lay the apple slices in a row, on the edge of the pastry, overlapping each other. Using a pizza slice, cut the pastry along where the apples have been laid, so you get a strip. Roll the strip so it looks like a fruit roll-up and press the outer flap firmly in to place, or stick it on with a little water. Make sure the roll is quite tight otherwise it will fall apart during baking. Bake for 25 - 30 mins in a preheated oven (180ºC). Wow!! This looks delicious! 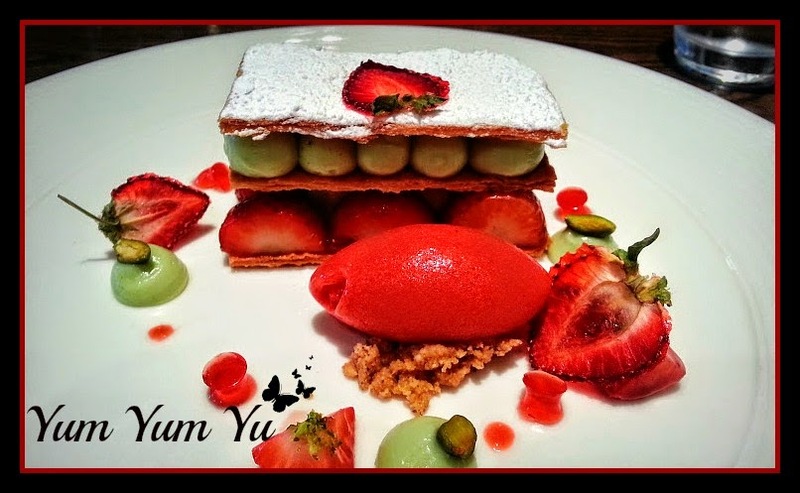 When I first saw the pictures, I thought it was all apple haha, but I bet it tastes delicious with the puff pastry!